ŠKODA Ireland has unveiled two new-look models, the ŠKODA Rapid and the ŠKODA Citigo, which can be seen at Monaghans & Sons on the Breaffy Road in Castlebar. The ŠKODA Rapid has got a fresh new look and a host of new equipment, including LED daytime driving lights, modern touchscreen sound systems and stylish interiors. The most impressive aspect of the new Rapid is a new 1.0 TSI 95bhp petrol engine which delivers diesel-rivalling fuel consumption of just 4.5 litres per 100km and annual road tax from €190. Prices start from €19,150. 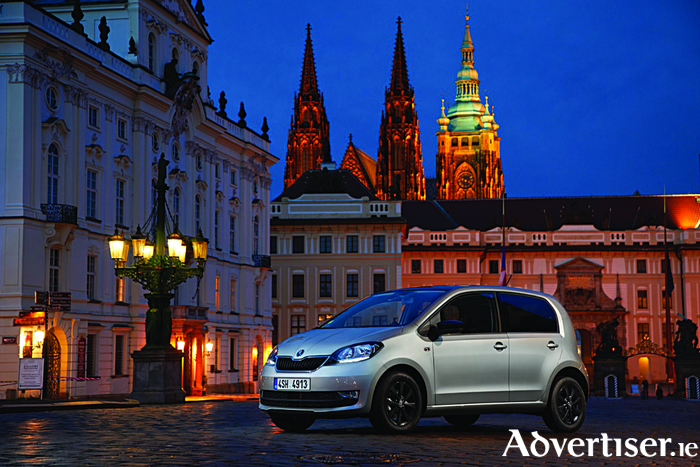 The second model to get a facelift is the hugely popular ŠKODA Citigo. Already a family favourite, the Citigo has been revealed with a fresh new look, including body paint colours, and connectivity technology. Prices have remained unchanged, starting from €11,550 for five door versions. ŠKODA is running a number of incentives and offers across the range with zero per cent PCP Finance offered on Fabia, Rapid, Octavia and Superb, while the Scrappage EcoGrant continues to be available until December 31.